What is a Discovery Visit? Want to talk to a physical therapist or schedule a quick 10-15 discovery visit to see if we can help you. Fill out the information below and our staff will contact you within 24 hours. 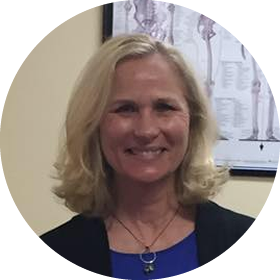 Led by Owner Kurt Bergeron, the team at Amherst Physical Therapy provides personalized and personable treatment. Our approach is simple. We put the patient first and always assess your personal goals for recovery whether you’re an athlete returning to a high level of competition or simply want to live pain-free. Kurt earned his degree from Ithaca College School of Health Sciences and Human Performance, Ithaca New York. As an avid athlete in his youth, and a current fan of many of the area sports teams, Kurt found the lure of working with the human body hard to resist. 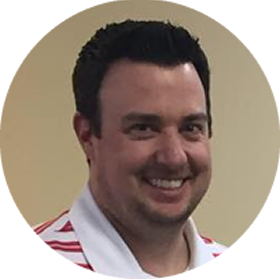 After graduation, Kurt began his career in a large scale orthopedic outpatient clinic where he was mentored by a number of top quality physical therapists before himself becoming the manager of that facility just a few years after he began working there. Utilizing the opportunity to expand his learning through a wide variety of continuing education courses, Kurt quickly developed a strong interest in orthopedic assessments of the foot, shoulder, knee and spine. Kurt treats orthopedics injuries using manual and traditional physical therapy modalities, while working with his patients to provide the highest level of function upon completion of treatment. Kurt started Amherst Physical Therapy in 2007, where he looks forward to supporting area athletes, and those seeking rehabilitation services. Kurt is a member of: APTA & Souhegan Valley Chamber of Commerce. With many years of front office experience, Fay joined the Amherst team in June of 2016. She enjoys helping and interacting with patients. Our patients and staff enjoy her positive personality and radiant smile. Fay works with you to schedule treatments at the most convenient times for you. She lives in Amherst with her husband Doug and enjoys time with him and her family. Feel free to contact Fay with any insurance or scheduling questions. To save you time on your first visit we have created links to the registration forms that you can fill out at your convenience. They all are so great! I wouldn’t go anywhere else for physical therapy. They helped me with my knees and now they are helping me with my back. Amherst Physical Therapy has treated both my daughter and I as well as many if my friends. They are amazing at what they do! Our outcomes were obtained quicker and 100%. Hands down – the skill of Amherst Physical Therapy, the ease of scheduling, the kindness and professionalism is hard to find! Thanks Kurt for the many times you have treated my family and my friends – you really are the best! Kurt Bergeron is the BEST! I have been to Amherst Physical Therapy a few times and have had great PT sessions there! The flexible appointments were very helpful in achieving my goals. Thanks again Kurt for all your help in pointing me in the right direction.